(…continued) Job, however, has a very different view of the situation. While agreeing that it is indeed God’s business to punish evil and reward goodness, Job is quite convinced that God is making a big mistake in his case. Job certainly admits to not being perfect, but he argues that has he not done anything to deserve this degree of suffering. He has no hidden faults, no secret sins, nothing at all out of the ordinary to deserve such extra-ordinary punishment. Yes, God rewards good and punishes evil, but in Job’s case it is God who is in the wrong. Job is so convinced of this that he demands a hearing with God to plead his case. The friends are appalled at Job’s arrogance for thinking that he can call God himself to account. But Job knows what they do not know, that is that he has done nothing so terrible as to deserve this. Therefore, Job’s severe pain and agony drive him to challenge even God. But still, he does not curse God. Job continues speaking to God, he makes his appeal to God’s goodness and justice, and at times, he even rests back into trust in God’s care. Job remains a man of faith. It is his faith in the presence of God and in the goodness of God that drives even his angriest words at God. Jobs hangs to faith, but it is a faith that has many questions of God and insists that God explain himself. Job is one of the most popular books in the Old Testament because it asks the questions we all ask. In times of particular suffering we have all asked in one way or another, “Why God is this happening to me?” This is the second most important question in religion. The most important question is, “Is there a God?” If we do believe in God, the next logical question is, what is God up to in the world and in my life? Is God on my side or not? 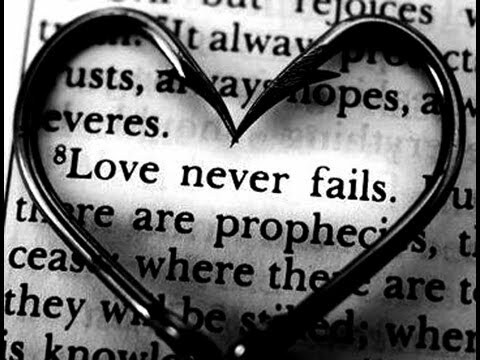 And if God is on my side and does love me, why does he allow such terrible things to happen. On and on, for almost the entire book, Job asks these questions from every angle with great power and eloquence. Job is given not an answer, but a glimpse into the greatness and majesty of God, and he is humbled. Job repents of his arrogant words, admitting he spoke of things he did not understand. In the last chapter, God commends Job for his faith and restores his health and fortunes. Merciful God, grant us feeble people endurance in adversity. May the wicked roots of envy and malice not grow in us. Save us from being brought into temptation by Satan. Grant us love towards friends and enemies that we may follow in your ways, by the example of your Son, Jesus Christ. Amen. Job was a good man, and as the story told in the Old Testament book of Job begins, it would seem that his goodness was well rewarded. He was not only a good man, but he was a wealthy man; ‘the greatest man in the East,’ says chapter one. He had huge flocks, dozens of servants, good health, and a large and happy family. That is how the story begins. Then the scene shifts back to heaven again. The conversation between God and Satan is repeated, with God pointing out Job’s goodness and continued faithfulness. Not yet ready to concede defeat, Satan points out the fact that Job himself was spared any physical suffering. So God agrees to continue the test. This time God allows Satan to harm Job physically, with the only condition being that he must stop short of killing him. Once more, the story moves back to earth where Job is afflicted with a most painful skin disease, putting him in such pain and misery that before long he is soon wishing he was dead. But he remains faithful. His wife has had enough and encourages Job to give up. “Curse God and die,” she says. But Job will not hear of it, saying, “Shall we accept good from God and not trouble?” He then goes outside of the city to bear his troubles alone, and there he sits in silent misery. All of this takes place in the first two chapters of Job. There are forty more chapters to go. Thirty-five of these remaining forty chapters are made up of a conversation between Job and some friends who come to be with him. The friends first sit in silence with Job. When the conversation begins, it centers on the question of why Job must endure so much suffering. Even though all the participants have the same theology and the same understanding of God, they disagree with great emotion and powerful words. They agree that God is just, and that the way God deals with us is to reward goodness and to punish wickedness; always, and with mathematical precision. Therefore, if things are going well for someone, they must be living a good and obedient life. And, by the same rule, if things are going badly for you, that means you have been a bad boy or girl. That is how the world works. Job 1:20-22 — (After all the disasters came upon his household and property…) At this, Job got up and tore his robe and shaved his head. Then he fell to the ground in worship and said: “Naked I came from my mother’s womb, and naked I will depart. The Lord gave and the Lord has taken away; may the name of the Lord be praised.” In all this, Job did not sin by charging God with wrongdoing. Job 2:9-10 — (After Job himself is stricken…) His wife said to him, “Are you still maintaining your integrity? Curse God and die!” He replied, “You are talking like a foolish woman. Shall we accept good from God, and not trouble?” In all this, Job did not sin in what he said. My dear Lord, I pray for the grace to meet suffering well when it comes upon me. Let me bear pain, reproach, disappointment, slander, anxiety, and suspense as you would want me to, O Jesus, and as you have taught me by your own suffering. Amen. Jacob DeShazer was a young air force recruit in California when he first heard the news of the attack on Pearl Harbor on December 7, 1941. Furious at what the Japanese had done, he resolved to retaliate personally. In April of 1942 he got his chance. He was selected to be a B-25 bombardier when Doolittle’s raiders made their daring attack on Tokyo. During that dangerous mission, DeShazer’s plane went down and the crew had to bail out over enemy territory. DeShazer was captured and spent the next 40 months as a prisoner of war, most in solitary confinement. Three of his buddies were executed and another died slowly of starvation. With plenty of time to think, Jacob began to wonder what it was that made people hate each other. He thought he remembered that the Bible had something to say about loving and forgiving our enemies. He asked his jailers for a Bible and eventually received one. He read and reread it with fascination. Ten days into his study, he asked God to forgive his sins. “After that,” he said, “when I looked at the enemy officers and guards, I realized that if Christ is not in a heart, it is natural to be cruel. My bitter hatred was then changed into loving pity.” Jacob remembered Jesus’ words from the cross, “Father, forgive them for they know not what they do,” and he asked God to forgive those who tortured him. Fourteen months later, in August of 1945, American troops liberated the prison camp that held Jacob DeShazer. After the war, a chaplain on General MacArthur’s staff was looking for ways to heal the animosity between the United States and Japan. He heard about DeShazer’s prison conversion, and had the story written and printed. Before long, DeShazer’s story was being circulated in a pamphlet called I Was a Prisoner in Japan. There was also much serious soul searching in Japan after the war. 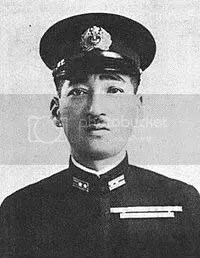 Japanese Navy pilot Mitsuo Fuchida was the chief commander of the attack on Pearl Harbor. He had advised against attacking the United States, but when given orders to proceed, he led the assault. Throughout the war, Fuchida was involved in hundreds of combat missions. But his closest brush with death was on the ground in Japan. He was in Hiroshima the day before the atom bomb was dropped there. His life was spared because orders had come for him to go to Tokyo. When the war ended, Fuchida returned home. One day he was given a copy of the booklet that told the story of Jacob DeShazer. Intrigued, Fucida began reading the Bible. Despite his upbringing in the Shinto religion, he came to believe in the Bible’s message and accepted Jesus Christ as his Savior. 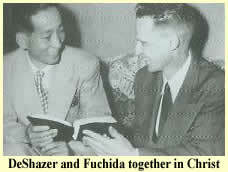 Eventually, Mitsuo Fuchida and Jacob DeShazer met. They became good friends, and for many years traveled together, speaking in churches about their experiences and their own conversions. Tens of thousands of Japanese became converted to Christianity because of their story. It all began when Jacob Deshazer was moved by the example of Jesus Christ to forgive his enemies. Acts 7:59-60 — While they were stoning him, Stephen prayed, “Lord Jesus, receive my spirit.” Then he fell on his knees and cried out, “Lord, do not hold this sin against them.” When he had said this, he fell asleep. Romans 5:10 — For if, while we were God’s enemies, we were reconciled to him through the death of his Son, how much more, having been reconciled, shall we be saved through his life! (…continued) Twenty centuries ago the Romans did not know what to make of the early Christians who were so odd as to have only one God, but they were impressed by how the Christians helped each other and everyone else. In most the monasteries of the middle ages there were rules about hospitality, and guests were always welcome for a night’s lodging and a meal. This was crucial for many who traveled on foot at a time when there wasn’t an abundance of hotels and motels in every major city. Congregations worship in a room called a ‘sanctuary,’ and that word originally meant a place of ‘refuge;’ refuge from the spiritual and physical storms of life, and, a place where one could receive help. And today, when one thinks of a refuge for the homeless in the big cities, it is the Salvation Army that comes to mind first, a Christian group supported by other Christians, that tries to make sure the neediest among us have a place where they can be fed and clothed and housed. This all goes back to the teachings of Jesus. We have a long tradition of giving ‘the cup of cold water’ in Jesus name. Not every culture or religion has this emphasis. Even in Muslim and Hindu countries, after natural disasters like earthquakes or hurricanes, it is the Christian relief organizations that are on the scene doing the most work. There is a connection in all this between the physical and the spiritual. The old saying is “The way to a man’s heart is through his belly.” That can also be the way to a person’s soul. When someone’s family is starving, and someone else comes and feeds them, that means something, and it means even more to hear that they were given that food in the name of Jesus. It meant a lot to us just to get help when our car broke down. Imagine what it means to those whose lives are saved by Christian relief organizations. The Great Commission to take the gospel to the ends of the earth has always gone hand in hand with this command to hospitality and to service. Tony Campolo has done Christian relief work in the Dominican Republic. He tells of a Christian doctor he knew there, a young Dominican named Elias. Elias was educated in the United States and could have stayed here, earning a big salary in Chicago and living a comfortable life. Instead, he returned to his native country to work among his people in the very worst slums. He is seldom paid, but when he does get a little money he spends it on medicines for those who can not afford them. Day after day he works with the poorest of the poor, giving them the medical help they could never have otherwise afforded. One day, Campolo traveled with Elias, riding his old beat up truck into the heart of the slums. There, Elias spent the day seeing patients, diagnosing illnesses, giving medical advice, and handing out medicine. At the end of the day, Elias climbed up onto his truck, hooked up a crude loudspeaker system, and began to preach the gospel. All the people loved Elias, so they came out of their shacks and gathered around to listen. Campolo then saw in the crowd a young man he had previously met at the state university. This young man was a member of the Communist student movement on the campus. He would come out to the slums to talk to the people about Communism and revolution, but hardly anyone would listen to him. Jesus said, “He who receives you, receives me.” This is how Christianity has spread around the world. The New York Times has become increasingly negative toward conservative Christian groups. Not long ago they published some articles criticizing even those Christian relief organizations that have done so much to alleviate suffering around the world. Therefore, I was surprised a while back to see this quote by a New York Times columnist. He said: “I have lost my cynicism about evangelical groups partly because I have seen them at work abroad.” Can you imagine that? He took the time to look at all the good that these organizations were doing around the world, and he became less critical. Jesus told us to proclaim the gospel and take the good news of salvation to the ends of the earth. Jesus also tells us to simply help those who are in need; feeding the hungry and clothing the naked. The church, both locally and internationally, has been very effective doing both. I John 3:17-18 — But if anyone has the world’s goods and sees his brother in need, yet closes his heart against him, how does God’s love abide in him? Little children, let us not love in word or talk but in deed and in truth. Philippians 2:4 — Let each of you look not only to his own interests, but also to the interests of others. Many years ago, my brother and I took our two high school age sons on a trip to the mountains of Colorado. On the drive home, in the middle of Nebraska, our car started to choke and sputter. We pulled off at the first exit, coasted in to a motel parking lot, and there it died. We were lucky to have gotten off the highway and be at a place where we could stay. We were unlucky in that the nearest town was about three miles away and it was early evening and nothing would be open anymore. There wasn’t much to do but get a room in the motel and wait until morning; and then hope we found a good mechanic who had the time to look at our vehicle as soon as possible. We had to find a repair shop and we were a bit apprehensive about how that would go. On a previous vacation, we were in a similar situation and had a frustrating experience with an ornery and unreliable mechanic. All day we waited while he kept saying he would be getting at it soon. Then when he did get at it, he wasn’t much good, and my brother had to talk him into letting him do it himself with the guy’s tools. We were hoping it would go better this time. Once we got settled into our room, I wondered if there were any Lutheran churches in the town we were near. Perhaps there would be fellow Lutheran pastor who might be willing to help us out by sending us to a garage with a mechanic we could trust. Maybe he would even put a good word in for us so we could get some prompt attention in the morning. Maybe I would even know the pastor. So I got out the phone book and found two Lutheran churches. No pastors’ names or phone numbers were listed, but I thought I’d try the churches even though it was after hours. A part-time secretary answered at the first church I called. She had just stopped at the church office for a few minutes to pick something up. I told her our problem and asked for the pastor’s phone number. “He’s on vacation,” she said, “but perhaps my husband and I can help you.” She asked what motel we were at and twenty minutes later they were there. They were retired, they said, and would have time to help us out the next day. They had already called a mechanic, a semi-retired friend who still did some work when he felt like it. “He’ll help you in first thing in the morning,” they said, and the husband added, “I’ll bring my pickup and we’ll pull you into town.” Things were looking better. The next day they were there, right on time. They pulled the car to their friend’s place. The mechanic said he’d have us back on the road in no time. We thanked the couple and thought they would be on their way, but then they said, “There’s no need for you to just sit around here; we want to take you out for breakfast.” We were hungry and happy to agree to the idea, but we said we wanted to buy them their breakfasts. They said “We’ll see about that.” They took us all to a nice place for a big breakfast, and then insisted on paying for everything. When we got back, the mechanic said that there would be a bit of a delay as he had to order a part and the truck would not be there with it for a couple hours. So the couple said they would take us for a ride and show us the area. As part of the tour they also showed us where they lived and where they hid their house-key saying, “We have to leave later today, but if there’s any trouble getting that part and you have to stay another night, just go on in and make yourself at home.” Then we went back to the garage. The part had come, the car was done, and we were on our way. I am still amazed at the hospitality of those wonderful people. In the Old Testament, God told the Israelites to welcome the stranger and to do good to the alien in their land, because they themselves were once strangers and aliens in a strange land. And the prophets were constantly telling the people to deal justly with each other and to care for the poor, the widows, and the orphans. This is a big theme in the Bible and you find something of it in every section of the Scriptures from beginning to end. And this message has, for the last 2000 years, prompted and inspired Christians all over the world to have this heart of service and hospitality. James 2:15-16 — Suppose a brother or a sister is without clothes and daily food. If one of you says to them, “Go in peace; keep warm and well fed,” but does nothing about their physical needs, what good is it? By Al Rogness, from The Word for Every Day, 1981, Augsburg Publishing House, page 234. The Christian church really has but one book. Of course thousands of books have been written about the faith, but all draw from one book, the Bible. The Bible is the basis for our faith. We who are Christians believe that the Bible is different from all other books. It is not an encyclopedia where you can look up information about birds or stars. The whole world of chemistry and biology, for instance, is not in this book. God gives us this kind of knowledge largely through studies in science. The Bible is God’s book, and God reveals himself in it. He does not tell us everything about himself in this book, but he does tell us all that we need to know about him. It is an old book. The last parts were written at least 1800 years ago. If you’re studying aeronautics, you certainly will not go to the Bible. But for knowledge about God, an old book may be better than a new one. Plato’s dialogues and Shakespeare’s plays are old too, but they remain the best of their kind in every university of the land. And the Bible, an old book to be sure, is in a class by itself. It is the Word of God. The strange thing about the Bible is that God uses it as a door through which he comes to us. It is almost as if he leaps out of the pages to enter our hearts. Or, think of the Bible as a lake. You sit on the bank fishing for knowledge about God. Suddenly God himself— not knowledge about him— takes the hook and pulls you in. God catches you. By far the most important fact about the Bible is that Jesus Christ is in it. Luther said that the Bible is like a cradle holding Jesus. If you are starting from scratch to read the Bible, you should probably first read the four Gospels, the accounts of Jesus’ life and sayings. Something remarkable then will happen; you find that Jesus is more than the total of what he said and did. Jesus himself becomes the Word. You not only learn about God through him. You know God and are brought to him through Jesus. It is when we do more than hurry through a few verses— as we frequently do— and begin living with and loving certain parts of the book, it is then that it becomes alive for us, and we begin to know it as a great treasure. II Timothy 3:16-17 — All scripture is inspired by God and is useful for teaching, for reproof, for correction, and for training in righteousness, so that everyone who belongs to God may be proficient, equipped for every good work. John 1:1-5…14…16-18 — In the beginning was the Word, and the Word was with God, and the Word was God. He was in the beginning with God. All things came into being through him, and without him not one thing came into being. What has come into being in him was life, and the life was the light of all people. The light shines in the darkness, and the darkness did not overcome it… And the Word became flesh and lived among us, and we have seen his glory, the glory as of a father’s only son, full of grace and truth… From his fullness we have all received grace upon grace. The law indeed was given through Moses; grace and truth came through Jesus Christ. No one has ever seen God. It is God the only Son, who is close to the Father’s heart, who has made him known. Romans 10:17 — So faith comes from what is heard, and what is heard comes through the word of Christ.